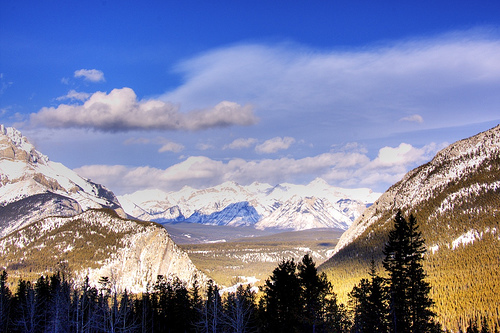 Banff is located in the Rocky Mountains and offers many winter activities, such as downhill skiing at Sunshine Village, Mount Norquay and Lake Louise, cross country skiing, heli-skiing and sleigh rides. In the summer, enjoy heli- hiking, hot springs, fishing, golfing, horseback riding and boating. The Sulphur Mountain Gondola Lift is one of the area's many attractions. 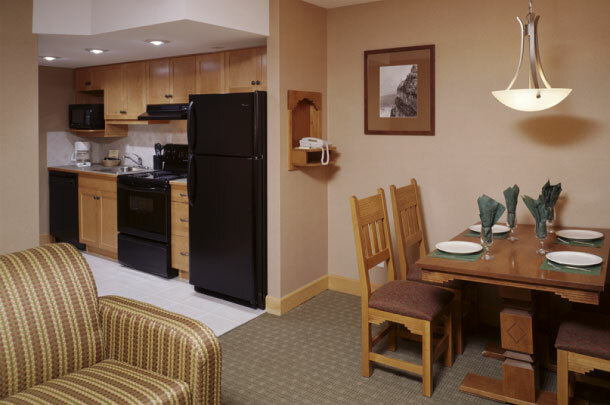 Each unit offers a fireplace, cable television, and kitchen with microwave, full size refrigerator, and stove with oven. Movie and Nintendo rentals are available. Pets are allowed. Since the resort is in a National Park, it is requested that your pet be on leash and under control at all times. There is an extra pet charge of $25.00 plus tax per pet per night (up to max of $75 per week). Maximum of two pets. Please confirm with the resort prior to making reservations as these pet fees/policies may change. Banff Gondola - Take a trip to the top of the Sulphur Mountain. 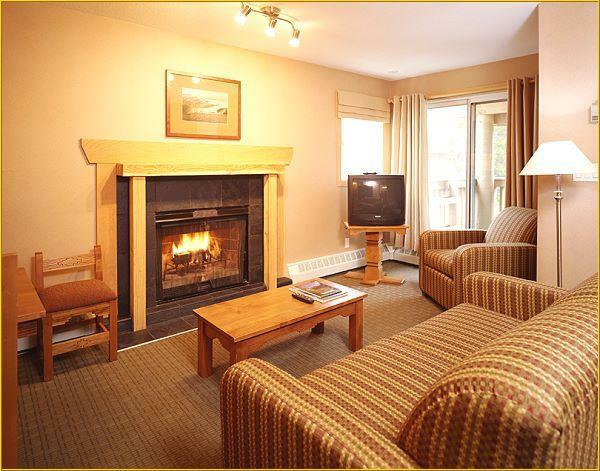 Mount Norquay - Down hill skiing, day lodge, tubing. Night skiing is offered at this hill. Canoe Docks - Rent a canoe here! Banff Rotary Park - Kids playground, benches, green space. Tunnel Mountain Hike Trail Head, Train Station - You will arrive here if you are coming by train. Welcome to Banff! Bow Falls - Great picture taking here. Legacy Trail - The trail head for the Legacy bike trail is here. Paved trail that is great for the beginner bike ride. HooDoo - Great viewpoint for taking photos. Downtown area, Cave & Basin - Banff National historic site. Home of the endangered Banff Snail. Walk around and see the marsh loop, bird watching and boardwalk trails.